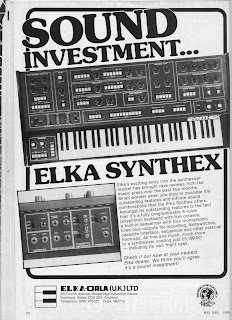 But what made me smile was the prices of some of the gear back then and the great ads - some of them are cheaper then they are on E-Bay today! 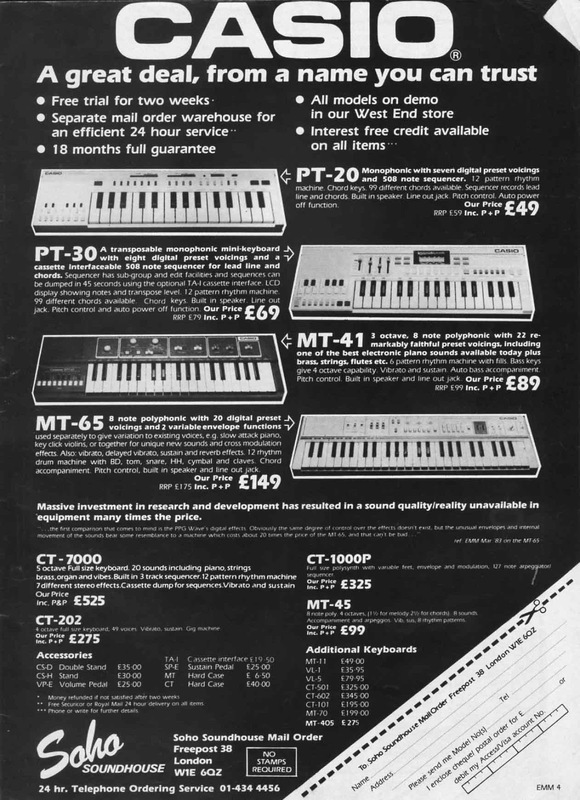 Take a Prophet One for instance, back then, just over £300 - today, I saw one on E-Bay for £1500!! 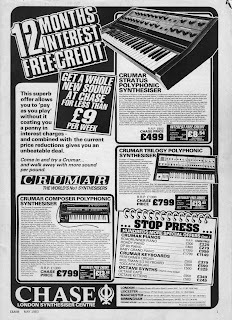 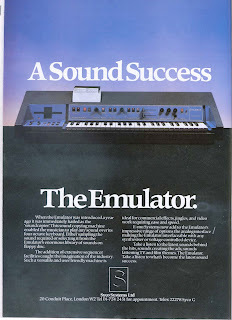 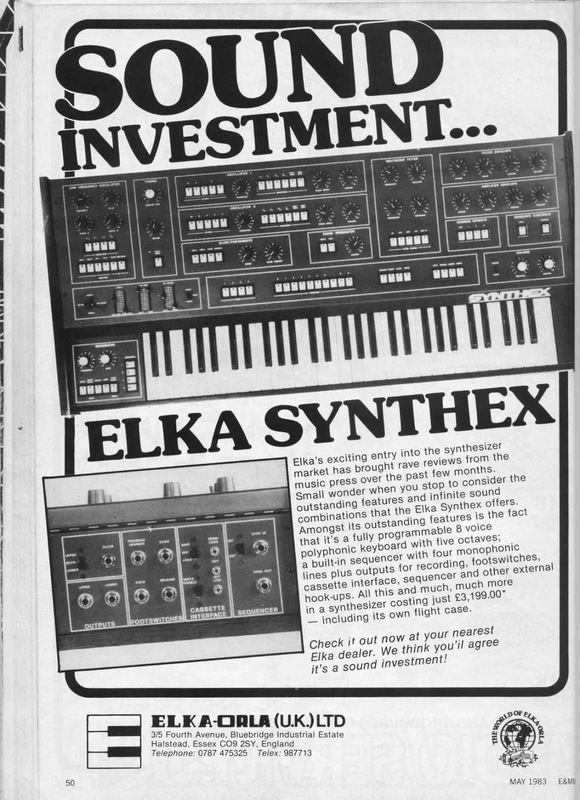 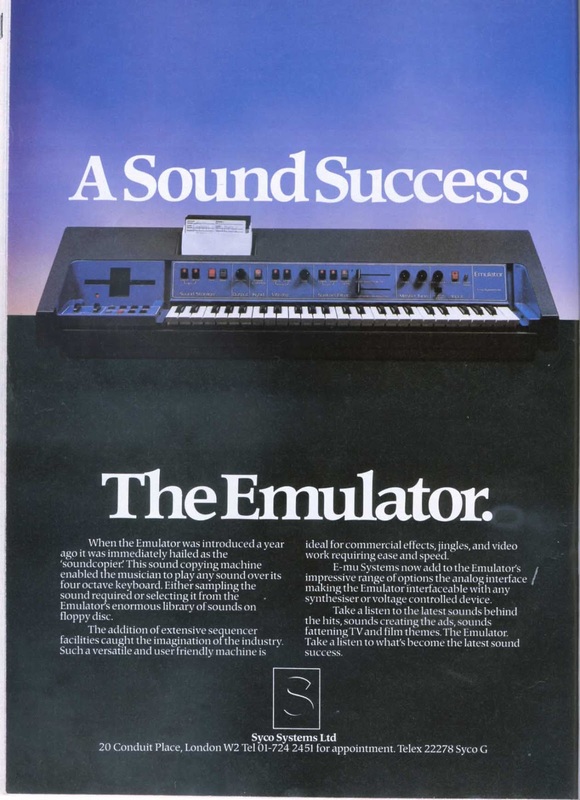 Here are some ads for you my fellow synth fans. 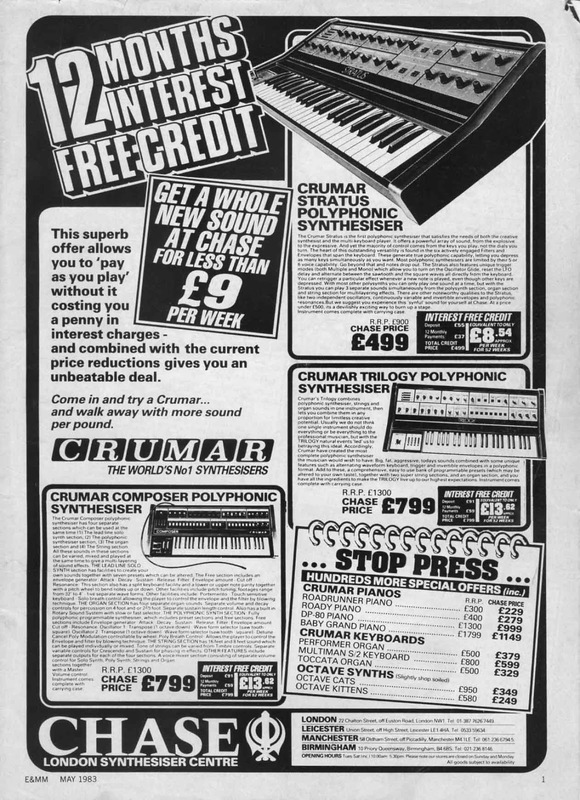 I'll post some more shortly.